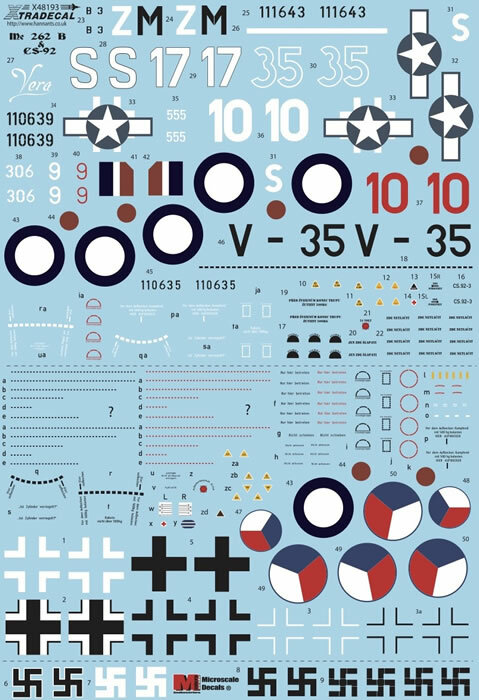 This new Xtradecal release will be very welcome for anyone building the Trimaster / Dragon or Hobby Boss two-seater 1/48 scale Me 262 kits. 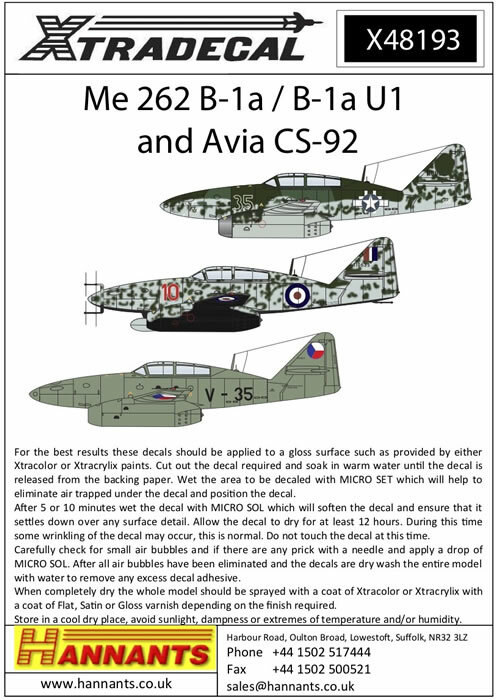 Xtradecal has released a new decal sheet covering seven Me 262 B-1a / B-1a U1 / Avia CS-92 aircraft in nine schemes in 1/48 scale. 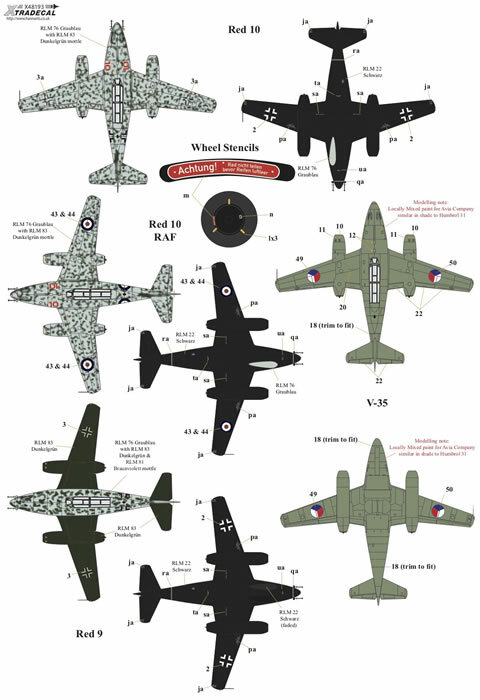 These will be suitable for either the Trimaster / Dragon Me 262 B-1a Night Fighter or the Hobby Boss 1/48 scale two-seater Night Fighter and Trainer kits. Day fighter and night fighter schemes are offered here. 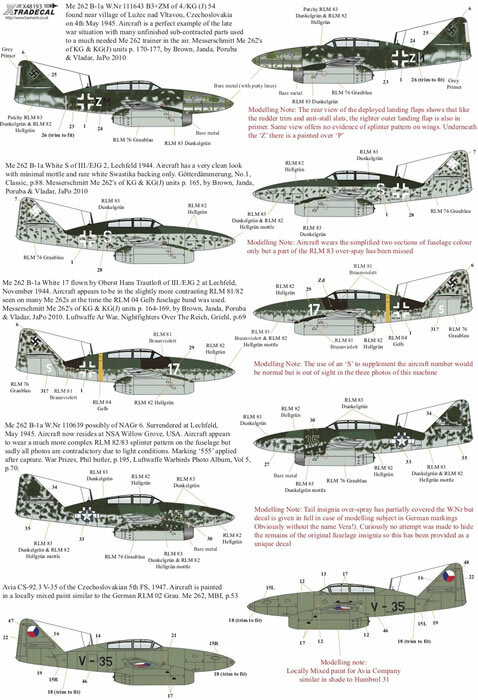 There is some room for interpretation of the colours of the night fighters (greens / browns vs. greys) and their order of application (dark mottles over RLM 76 vs. pale overspray of day fighter camouflage - the latter makes the most sense to me). Check reference photos and see what you think. 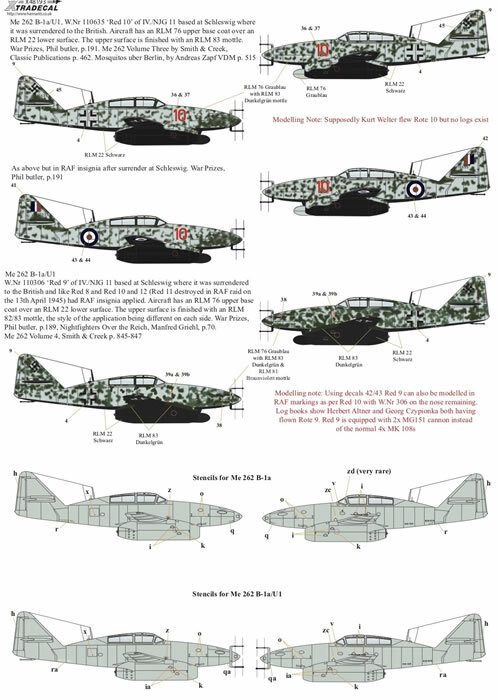 Instructions for the decal sheet are in full colour across two folded double-sided A4 and one double-sided A5 sheet. Both side views plus upper and lower views are provided for all nine schemes. 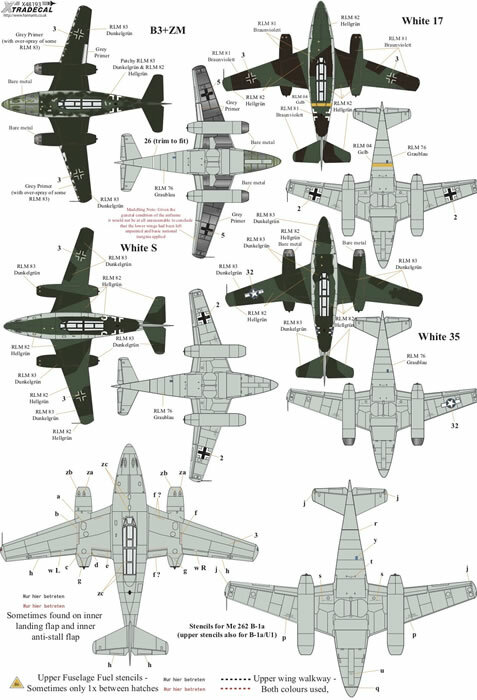 A selection of German, Czech, British and US national markings is included.